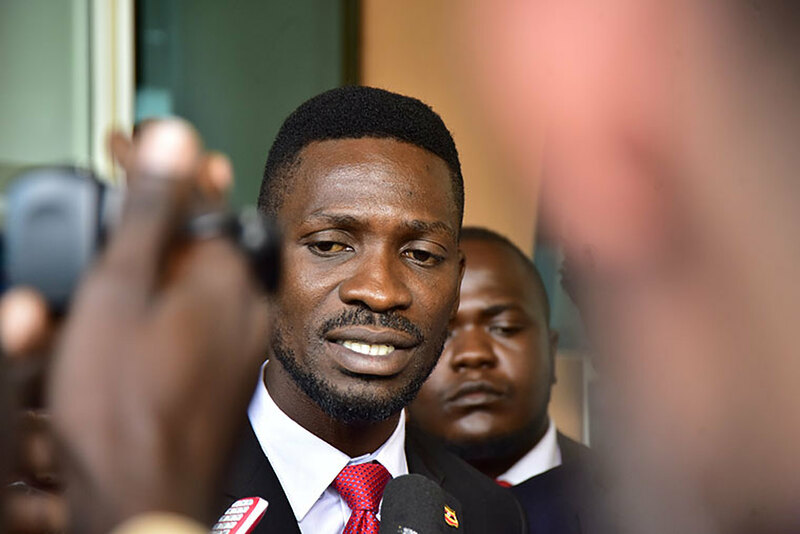 KAMPALA – Kyadondo East Member of Parliament Robert Kyagulanyi aka Bobi Wine has said the eviction threat against his building in Kamwokya, a Kampala city, is targeting him because of his political status. Last week, M/s Pearl Hope Investments Limited notified Bobi Wine and 400 residents about the planned eviction from Mulimira, Kisenyi and Old Kira Road zones. The disputed land, measuring about 26 acres, is located on Block 213 Plots 20-78, while other plots are marked as 1979, 20186, and 1977. But Bobi Wine says he is occupying the land legally as he bought it, and accused his political enemies of victimizing the other residents. “The innocent people are suffering because Kyagulanyi is involved. I will fight for the people. None of us is staying on this land illegally; I bought a plot and bought the land. I am sure many of us did that or at least did one of them that means we are legally here,” he said. “We have decided that the leaders and residents of this land meet the landlord and find out what he exactly wants to hear from us,” he added. On Tuesday, Bobi Wine visited the area and met the residents, assuring that as per the existing land law, no one can evict them from their land. Bobi Wine is accused of buying the land from one Gladys Nanyonga without the consent of the landlord. However, Mr Moses Kiggundu of Matovu and Company Advocates, the law firm representing Hope Investments Ltd, said the matter should not be politicized. “Most of those people who are claiming to be having land titles, including Bobi Wine, are holding fake documents. We cannot evict anyone in seven days; let us not make this a political matter. We are asking them to come and verify their titles and those who don’t have can get,” Mr Kiggundu said.